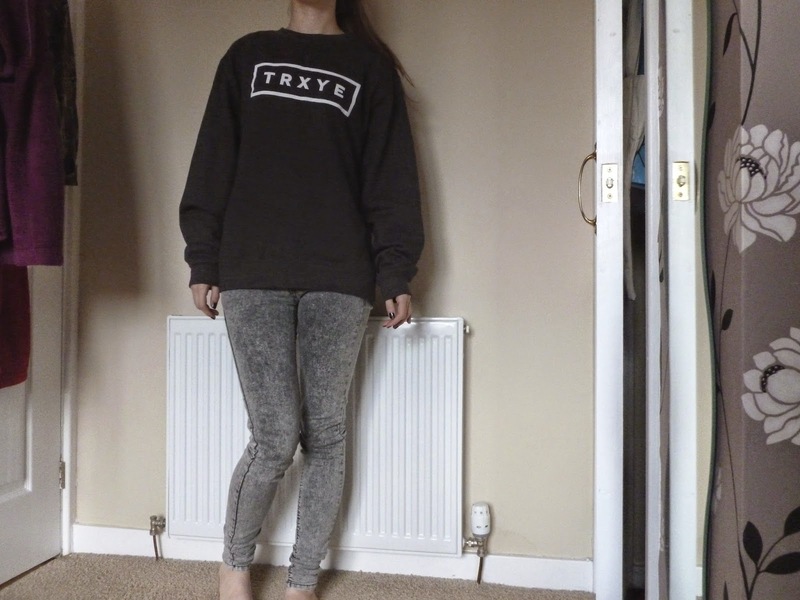 My TRXYE sweatshirt arrived the other day and I'm absolutely OBSESSED with it. 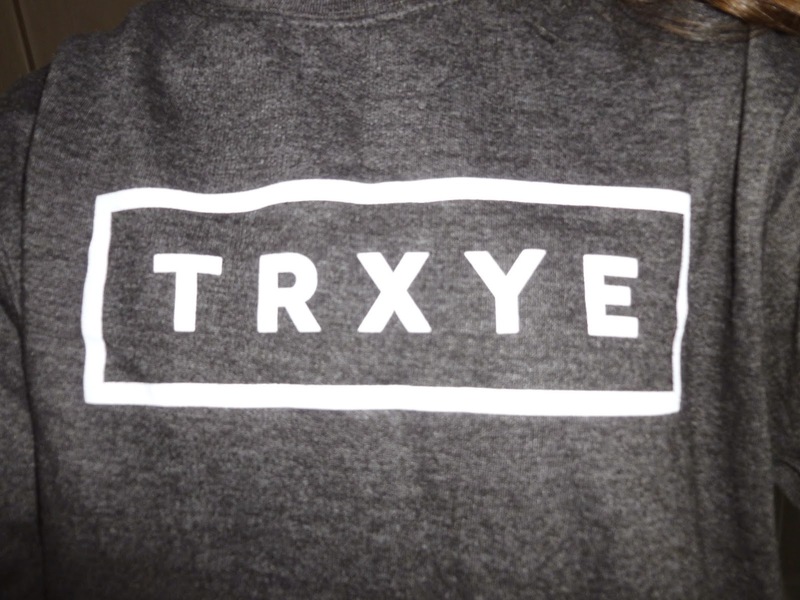 Although slightly pricey at $53.84 (approx £32.46 - this included international shipping), the quality is really nice and the sweatshirt feels really cosy and well made. I ordered the sweatshirt on line through Districtlines.com on the 11th of August and it arrived just under two weeks later on the 23rd of August. I am a size 8/10 in clothing, so I ordered the jumper in a size 'small' and it is quite baggy on me- but I prefer it that way. If you're interested in Troye's merchandise, it is all on districtlines.com/troye-sivan and his EP is now available to download on the iTunes store. 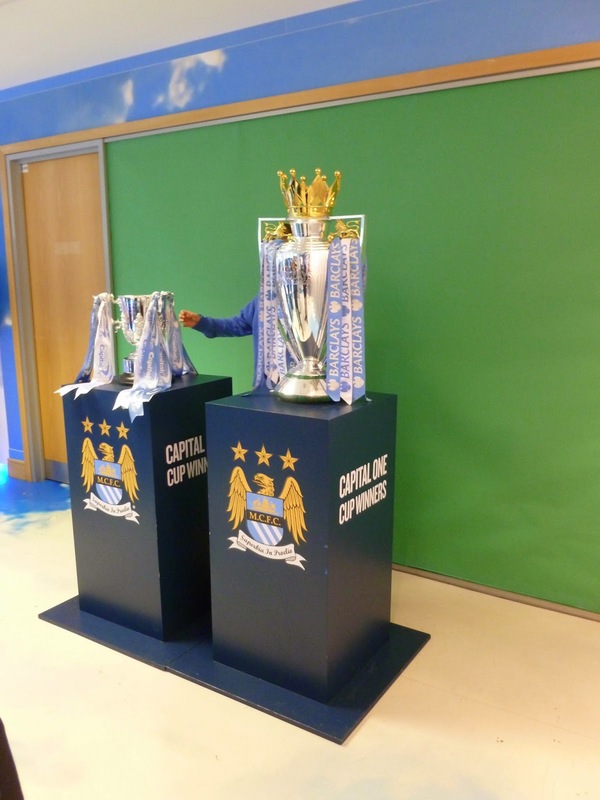 As part of Ken's 19th birthday present, I organised a day trip to Manchester including a tour around the Manchester City football stadium (Etihad stadium). 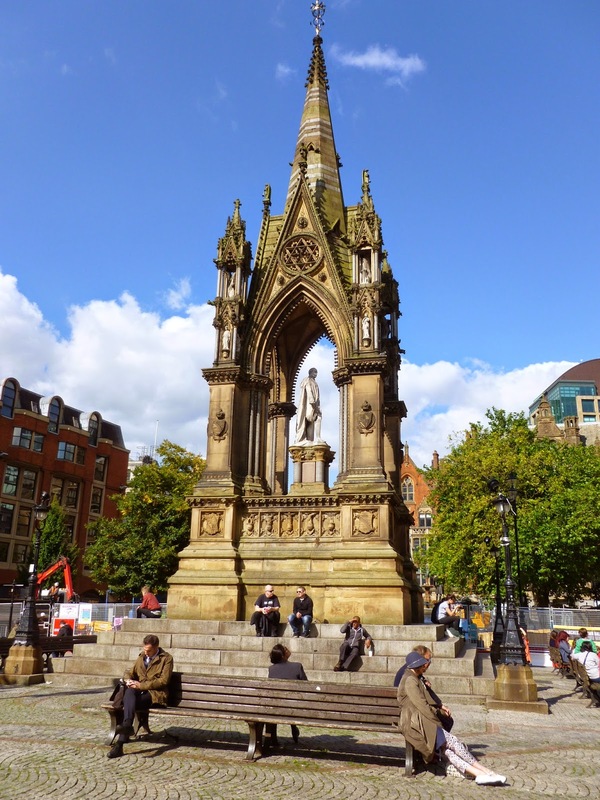 As I've written before in my 'A Day in Aberdeen' post, Ken and I love to travel and are always talking about which cities we'd like to visit together in the future, so I thought a little day trip to Manchester would be perfect as part of his Birthday gift. 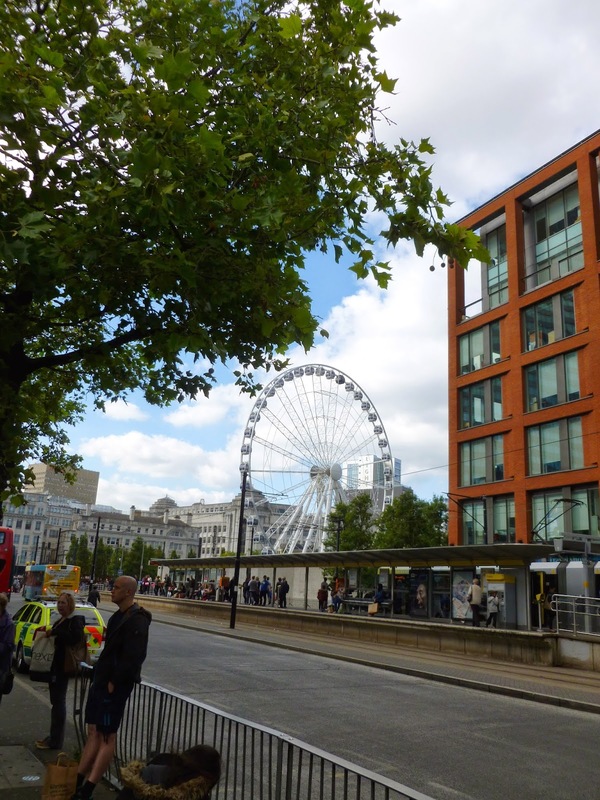 After a 90 minute tour of the football stadium, we took a tram back into central Manchester, escaped to Taco Bell for lunch and had a wander around the city centre for a few hours before our train home in the evening. 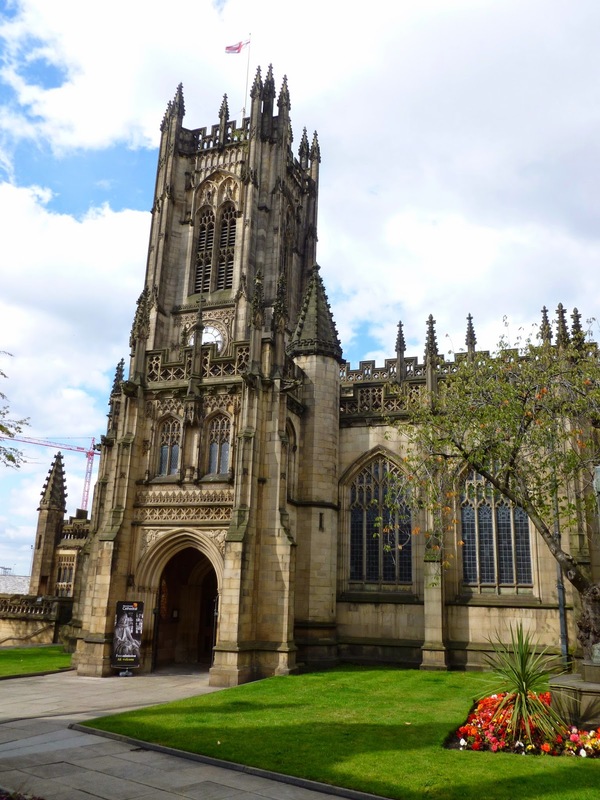 We visited Manchester Cathedral, Town Hall and the Art Galleries. Mid-afternoon, we popped into a bar ('The Old Wellington') for a drink. The half-timbered public house is a beautiful inn with a really lovely beer garden, which was really enjoyable with the sun shining. 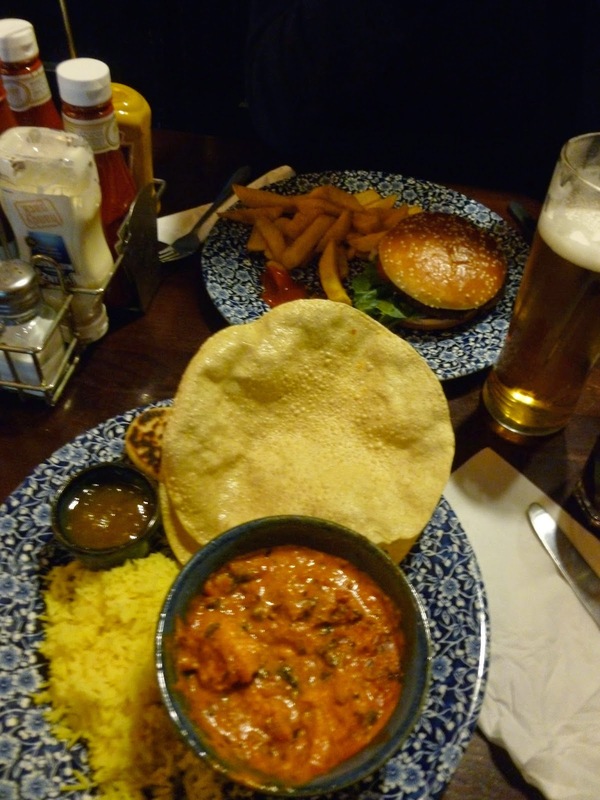 Of course, we couldn't resist a Wetherspoon's dinner in the evening followed by lots of coffee's and hot chocolates to end a busy and tiresome, yet very enjoyable, day exploring Manchester city. 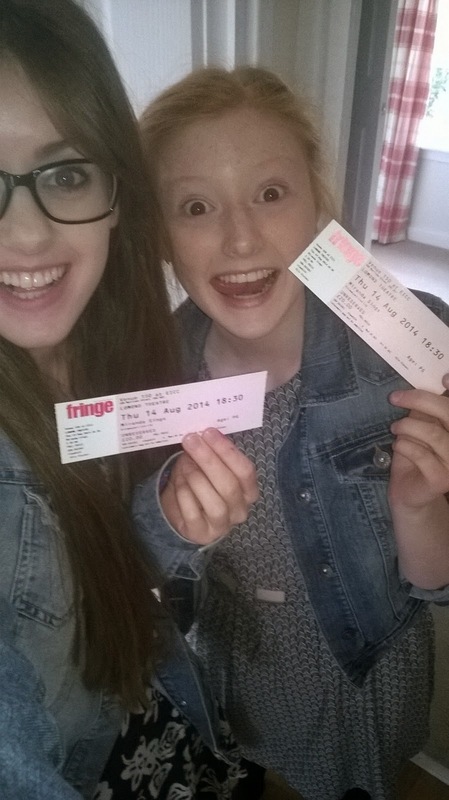 When MirandaSings announced she would be performing as part of the Edinburgh Festival Fringe this summer, my sister and I jumped at the chance to see her on stage in person. MirandaSings is a popular youtube sensation with over 1.9 million subscribers on youtube. I've been a fan of hers for over 2 years now and ever since her 'Starships' parody by Nikki Minaj, there hasn't been a video I've watched that hasn't made me laugh out loud. I wasn't sure what to expect seeing a YouTuber live as I'm used to seeing musicians in bands performing in gig venues. However, since the youtube community has grown incredibly large over the past few years, the atmosphere was incredible and some younger girls were actually dressed in the typical MirandaSings character attire. Unfortunately, we didn't manage to purchase meet and greet tickets, but took a selfie with the MirandaSings advertisement outside the venue. Miranda's performance was absolutely incredible. She started off as Colleen Ballinger - who is completely stunning and has an amazing voice - then soon transitioned into Miranda. Her performance was very interactive and there were plenty of occasions where audience participation was required. I loved every minute of her hour set and the experience was like watching an hour long MirandaSings video of all her best bits. There were a few guest appearances from her sister, Rachel Ballinger, who actually recorded the crowd for part of her daily vlog on her YouTube channel (3:37). 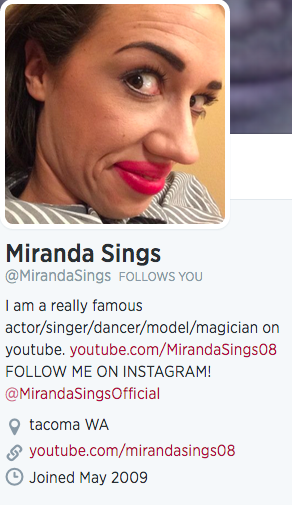 I tweeted Colleen and MirandaSings photos from her performance and she followed me on twitter! 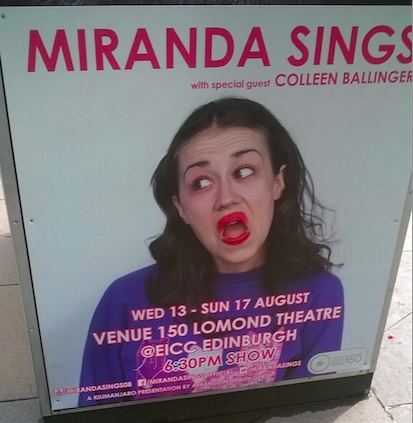 As the Edinburgh Fringe Festival is drawing to an end, MirandaSings has finished her shows in the city, however Colleen has mentioned on Twitter (@ColleenB123) that she is returning to Scotland with more tour dates! I will definitely be looking out for the ticket sale release and booking to see her (and hopefully meet her!) when she returns. 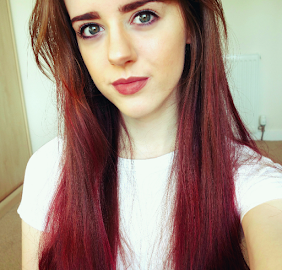 Who are your favourite YouTubers? Have you seen them live/been to any YouTube Conventions? I found some photos from a family friend's wedding a couple of weeks ago I thought I'd share with you today. I haven't been to many weddings in my lifetime and this outfit is the first one I had planned myself without the help of my Mum at the last wedding I attended when I was 10 years old. As weddings are a very rare occasion for me, I tried my best to work with accessories I already owned and purchased a main, staple-piece dress. The maxi-dress is from Miss Selfridge (as mentioned in my 'Huge Summer Haul' post). It is a simple creamy-white maxi dress with purple and blue floral print. There are slits at both sides of the dress, however, as there is a lot of material at the bottom of the dress, my legs were rarely exposed but helped keep me cool throughout the ceremony. I purchased the dress for £35, but it is now on sale for only £10. I paired the dress with a pink scarf I used as a pashmina, a black clutch bag and black high heels. What would you wear to a wedding?